With no Padres baseball today, we all get a chance to catch up on Walking Dead on our DVRs. 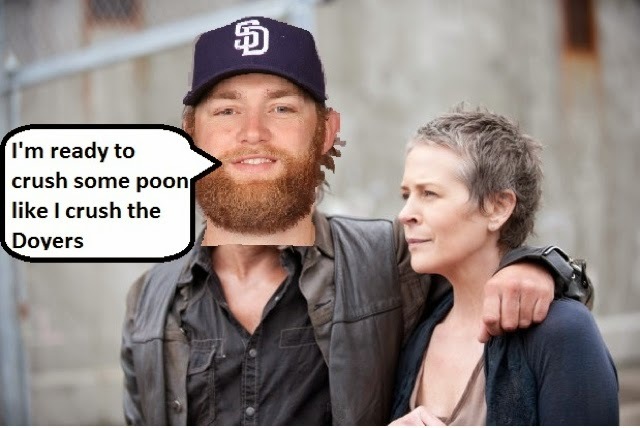 I couldn’t help but notice that all time fan favorite Daryl Dixon is basically Andrew Cashner. Trained with a crossbow, a skilled cocksman, experienced at dressing the deer, although Daryl has slightly less awesome hair.